I have heard Windows 10 has a voice assistant similar to Siri on the iPhone. I heard she is called Cortana. For the life of me I can figure out how to use it. Can you give me some hints? To use Cortana you’re going to have to enable Privacy setting in “Speech, Inking, & Typing”, additionally, Cortana requires access to your location so turn that on. Cortana is your do-it-all helper, which can deliver sport scores, weather, news, as well as help out with navigation, setting reminders, and more. 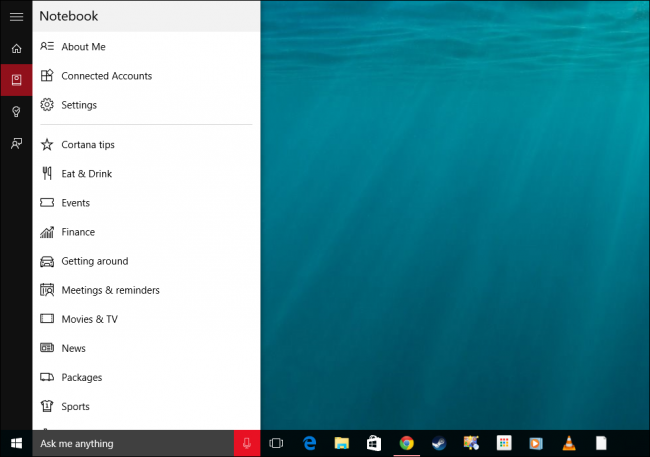 Cortana can then be accessed by clicking the search feature on the taskbar. You can adjust the search bar by right-clicking on the taskbar and selecting the style you prefer. In all our examples, we’ll be using the search box. It’s important to keep in mind that if you have Cortana enabled and you hide it, it will still be active and you can still use it. When we click on the search box, Cortana will pop open. It will display pertinent information based on your interests and hobbies. You can also ask it facts and have it perform tasks. If you click on the “Notebook” icon along the left edge, you’ll be able to further configure Cortana, specifically the information it provides to you. 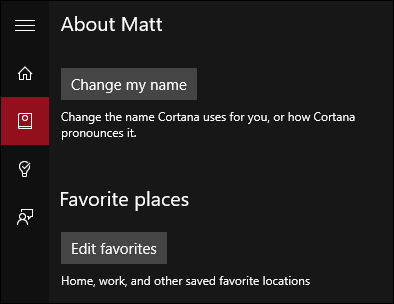 Once you have it set up all you need to do is say "Hey Cortana.." and it will respond to many commands. So there is a quick introduction to Cortana.